As more and more leaks continue to surface, everyone, from the general public to large corporations, are falling victim to anti-privacy laws. While the ambiguity on privacy in the US and EU continues, many internet savvy users are turning to Iceland – a country independent of Europe. Since the Data Protection Act in 1998, strict protocols to digital privacy protection have been implemented. Hosts, ISP’s, and cell service providers are no longer required to hold your personal user data. Iceland is part of this Act. It ranks number 1 out of 138 countries in accessibility of digital content, receiving a score of 6.62 out of 7. 1 being no digital accessibility at all. Censorship is strictly prohibited by Iceland, and it’s a value among Iceland’s people to protect freedom of expression, which extends to the use of the Internet. As of 2016 it also ranks number 19 in the Press Freedom Index, with the US placing rank 41 in comparison. Iceland is also subject to neither the US nor EU court system (where a vast majority of DMCA takedowns originate from), meaning unless an Icelandic judge takes their side, your sites not going anywhere. It’s also connected directly to North America and Europe using submarine cabling and redundant fiber optic connections, with a ping from NYC to Iceland reported to be as low 41ms. Iceland is also the world leader in fiber internet deployment. 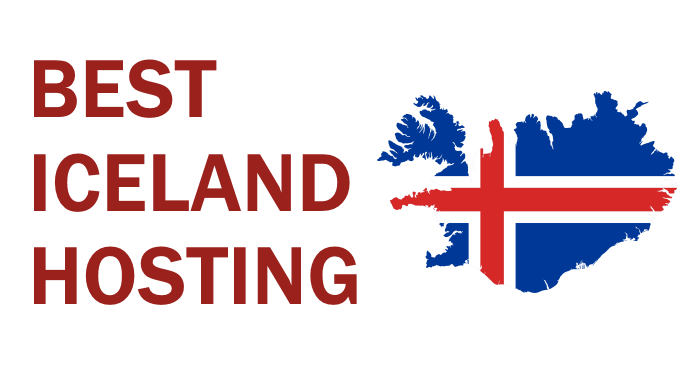 Because Iceland is such a great data-storage location, we have compiled a list of the best Iceland hosting providers on the Internet. We’ve looked at pricing for shared hosting, VPS, as well as uptime, customer service, and services offered. Click here if you are interested in dedicated servers in Iceland. Internoc24 LLC is an American registered hosting provider founded by two brothers in 2007 – or so they claim. According to who.is, their website was registered in 2010. They offer offshore hosting, which implies that they are more liberal in what they allow on their servers. They resell all their hosting from Iceland, France, Netherlands, and the USA. They earn the last place because they are resellers and thus do not own any of their servers. DataCell, established in Reykjavik, is a relatively small Icelandic hosting provider that began in 2010. Since then, they have expanded to Switzerland as well. DataCell primarily offers custom solutions. As far as pre-established setups, they only offer VPS services starting at a modest $20.16 per month, and that’s about it. Even though they don’t offer many turnkey solutions, we felt they deserved to be in this list because they’re the only provider with an emphasis on customization. With the large amount of content on the web, and its constantly growing size, a one-size-fits-all solution doesn’t always work, and that’s where Datacell.is shows its strength. 1984Hosting also began in Reykjavic, Iceland, but not in 1984 as their name might make you believe. They launched in 2006 by a group of civil rights enthusiasts. The infrastructure used by 1984hosting is charged by renewably energy. Their mission, as they state on their website, is to offer high-quality hosting services at an affordable price, while also respecting and protecting civil and political rights of their customers. Overall they offer a respectable service at a respectable price, all while keeping your personal information and data safe from prying eyes, which is something not a lot of hosts can offer. As far as reliability, they claim to offer 99.9% uptime and above average support. Finally, we have OrangeWebsite taking first place on our list. OrangeWebsite was launched in Reykjavic in 2009. OrangeWebsite beats the competition in price, hardware, and service. With shared hosting starting at $3.62 per month, they are cheaper than anyone else we could find. To top it off, this cheap service offers 100Gb of monthly traffic, DDoS protection, a free site builder, cPanel, and a one click installer for popular CMS’s. OrangeWebsite prioritizes security, privacy, and customer service, while maintaining competitive prices. This was a list on the best Iceland hosting providers.